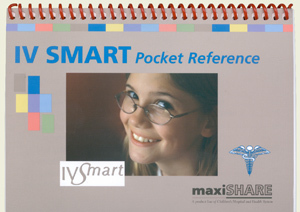 Pocket reference ideal for pediatric IV insertion training or personal use. Walks users through using comfort and distraction techniques grouped by age. Includes site selection techniques and diagrams of appropriate IV start sites.